The DiSC Classic Profile 2.0 is the online DiSC personal profile system personality tests developed based on Marston’s model and Inscape Publishing’s DiSC research. This Online DISC Profile assessment provides immediate results and is based on the original classic disc paper version, but with greater feedback and insights. The D.I.S.C. personality profile looks at your dimensions of behavior and personality based behavioral style. 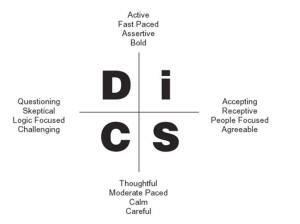 Understanding your disc personality style and those of others provides insight that can improve rapport, communication, team effectiveness, customer service, sales and reduce interpersonal conflict. DiSC is used to increase performance and therefore bottom-line results. 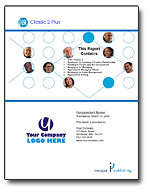 VIEW A Free SAMPLE DiSC Classic 2.0 Report (PDF). DiSC Classic 2.0 profiles can be both purchased individually or we can set you up with your own online administration account (the EPIC account), this will give you control over whether the participant will be able to see their results upon completion or not. With EPIC you can brand your DiSC profiles with you contact information and logo. 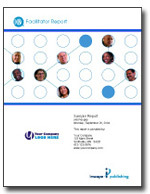 View a free DiSC Profile sample report and/or call us for a free DiSC consulting. See our quantity-based pricing below. DISC classic 2.0 graph Contact us for quantity discounts on orders over 100. Note: The DiSC Classic 2.0 is the same price as the Everything DiSC Workplace Profile. We recommend switching to the Everything DiSC Workplace which is a 32% more accurate report. Please call for additional details. 1. Instant Access Codes with Instant Results: Receive DiSC Classic 2.0 access codes via email immediately after you placing your order. The results will be viewable immediately upon completing the assessment. 2. Instant Access Codes with results sent to you: Use this option if you don’t want the person taking the profile to see their results upon completion. We will email the results to the email address on your order unless otherwise specified in the comment section when you check out. 3. Open an EPIC Online Administration Account: Take control of distributing, organizing, and viewing your completed assessments with this online platform. 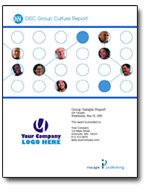 Customize your report covers with your organization’s logo. You will need 15 EPIC credits for each DiSC Classic 2.0 profile you wish to generate. You will receive additional communication about setting up your account after you place your order. New accounts will only be created on weekdays during normal business hours. 4. Add EPIC credits to an existing EPIC Account: Additional quantity-based pricing is available when purchasing EPIC credits. The DISC Classic Online Profile model has been used for over 44 years by over 56 million people internationally. “DISC” can now be taken in real time by anyone anywhere through the Internet. This is in addition to the traditional option of having individual e-mail sent to you each with a individual DiSC access codes. For larger orders we help you set-up your own online “DISC” administration account (EPIC Account). The DISC Classic 2.0 only takes about 15 minutes to complete online. You can view your results on screen, print it, save it as a PDF file or send it as e-mail. DiSC profiles includes all the information from the original paper version of the DiSC Classic-Personal Profile 2800 Series, plus you get an additional narrative report format and an explanation of the disc model. Did you know that Group Reports and Facilitator Reports are available for the DiSC and can be generated for any combination of the online DiSC Classic 2.0 and 2 Plus? Influence: “I’s” tend to be optimistic and outgoing. They are social “people people” who prefer being on teams, sharing ideas, entertaining and energizing others. Steadiness: “S’s” are empathetic and cooperative. They tend to be supportive, helpful team players and are often good listeners. They prefer being in the background, working in consistent and predictable ways. They also tend to be uncomfortable with change. Conscientiousness: “C’s” tend to be concerned with details and cautious. They are often focused on quality. They plan ahead, check for accuracy, and act systematically.